We all make do with any old socks inside boots and waders, and then often pay the price of blisters and sore feet! This is usually caused by chafe or excess perspiration. The Snowbee New knitted mid-length boot socks are purpose designed to prevent this. Made from CoolMax® yarn, an innovative blend of wool, cotton, polyester, elastane and nylon, with a soft padded sole and heel, provides maximum support and comfort to the Angler, Hiker and Shooter. 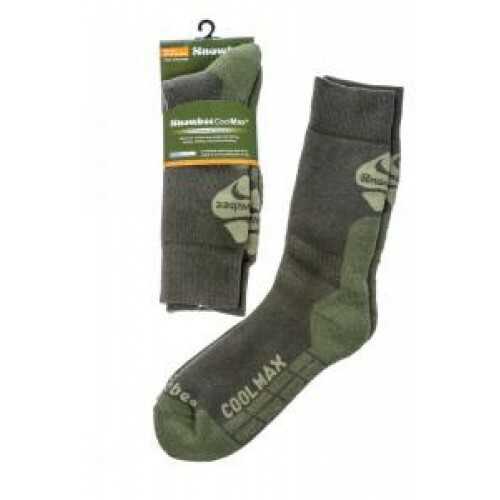 Snowbee Knitted Technical Boot Socks - COOLMAX® technology adds climate regulating cooling and drying performance to the Snowbee socks. Engineered for everyday comfort and performance, the technology wicks moisture away to keep the wearer cool and dry on hot days, helping to optimize performance. Engineered for advanced performance, COOLMAX® AIR technology uses propeller-shaped yarns to deliver the combined performance of superior moisture management, breathability, and quick dry time. Not all performance fabrics are created equal. Fabrics made with COOLMAX® technology must pass rigorous performance and quality tests before they can earn the COOLMAX® brand hangtag. Snowbee Boot Socks, New and improved on the Top Selling previous Snowbee Knitted Wader Socks, available in two sizes, M 6-8½ (EU 40-43) and L 9-13 (EU 43-47) - 2-tone Loden Green. 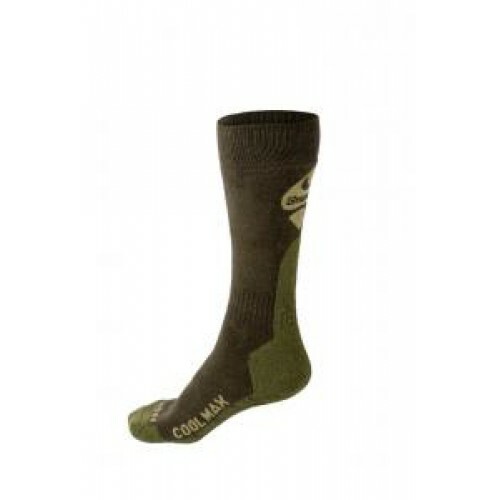 Snowbee Knitted CoolMax® Technical Boot Socks - a perfect match with Snowbee Waders & Wading Boots.